Britain’s loudest bird, once extinct in the UK, has enjoyed its best year since records began, according to a new survey. The bittern – a kind of heron – is doing well following intensive conservation efforts. One of the best places to spot them in the South East is RSPB Dungeness, Kent. Bitterns are highly secretive wetland birds and live most of their time within dense stands of reed, making them very difficult to survey. 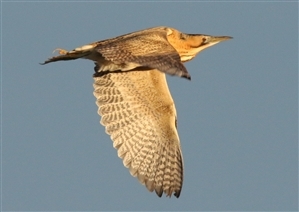 However, scientists count bitterns by listening for the male’s foghorn-like booming call, and this year numbers increased to at least 164, recorded at 71 sites. That compares to 162 at 78 sites in 2016, and is a positive sign that bitterns are back from the brink and thriving. At RSPB Dungeness, bitterns have only been booming since 2009, but despite the relatively recent appearance, they are now regular visitors to the reserve. "The best time and place to see them is either in the spring (April-June) when male bitterns are booming in early spring. Later on you’ll have a chance of seeing the bitterns more active in flight as they fish and fly back to the nest to bring food. Thanks to funding from an EU life project, habitat works were undertaken to improve the reedbed at the site, and as a result at least two chicks were confirmed in 2012. The reserve team are hopeful there are more success stories hidden in the reeds, as females have been spotted performing feeding flights in other years, but the species are so elusive it is rare to actually glimpse the chicks. Bitterns were considered extinct as a breeding species in the UK by the 1870s. Following recolonisation early in the 20th Century, numbers of bitterns increased to a peak of about 80 booming males in the 1950s, but then fell to fewer than 20 in the 1990s, with similar declines witnessed in many other countries in Western Europe. By 1997, there were only eleven booming male bitterns in the UK; these were mainly within Norfolk and Suffolk, with a small outlying population at Leighton Moss, in Lancashire. For your best chance of hearing a bittern boom, the Dungeness team organise special ‘Bittern Breakfast’ events in April, where early risers can take a dawn tour of the reserve and hopefully hear the birds, before enjoying a complimentary breakfast back at the visitor centre. For more information check the reserve events pages in spring. 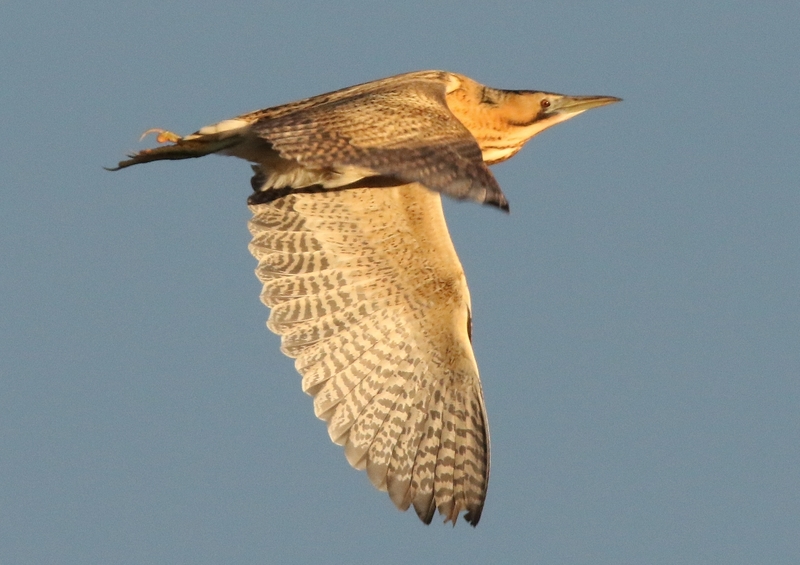 Image of bittern at RSPB Dungeness, courtesy of Graham Parry.